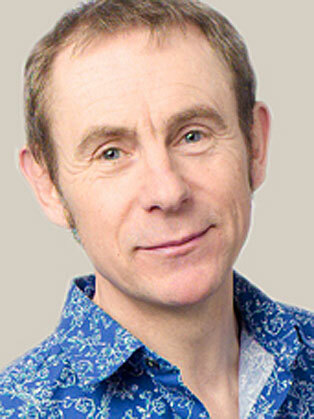 Nigel Barden is a food & drink presenter for BBC London TV, Radio and Online. He works regularly for BBC Radios 2, 4 and 5. Formerly he was a Yorkshire based wine merchant, before heading off to drama school in London, in 1990, when he also started reviewing restaurants on GLR (Greater London Radio). Nigel is also a regular rugby correspondent for BBC London Radio and can be heard commenting on Guinness Premiership & European Heineken Cup games. He filmed a BBC documentary on the Clipper Round the World Yacht Race, and narrated the World Power Boat Racing, for Channel 4. He has judged the Britvic Business Food & Drink Journalist Awards. He compered the launch of Nintendo Super Mario, the Time Out Eating & Drinking Awards 2005-6, the Havana Club and Stolichnaya Cocktail Championships and presented a piece on the International Cocktail Grand Prix in Cuba, for BBC1. He has presented and contributed to many live TV shows, such as The One Show (BBC 1), Market Kitchen (UKTV), 5’s Company (Pearson TV for Channel 5), The Really Useful Show (BBC1). He works regularly for BBC Radio stations, primarily as a food & drink journalist (Johnny Walker, Jeremy Vine, Nicky Campbell, Simon Mayo Shows & You & Yours). He was food & drink editor of Maxim magazine (90 issues), ‘threesixtyo’ travel magazine & contributes to The Daily Telegraph, Observer, Independent & Whisky Magazine, as a food, drink & travel journalist. In 2004 he retraced the “Whisky Smugglers’ Steps” in Speyside for the Independent & enjoyed himself so much that he recently returned with a film crew & helicopter.